- They require less travel. - They are less expensive. - There is a chance I can sleep in my own bed the night before. - They give me a great way to practice things that need practicing before the big show. - They give me a great way to assess where my training is at before the big show. - I may be able to park right next to transition on race morning. - They are frequently shorter in length, which if done properly, can be used to build fitness with minimal recovery required. - I tend to see a lot of familiar faces. - They tend to have a more casual feel. - Pre race logistics are simpler and you can often get your packet on race morning. - They tend to be in places that have low vehicle traffic. Madison and just a few miles off Interstate 94. 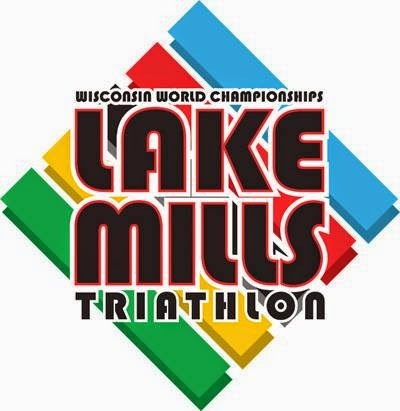 This race has been unofficially known as the "Wisconsin World Champs". It is not named so much for the challenging terrain, or necessarily the level of competition, but more or less because it is one of the first races of the year and many participants have put in a solid off-season and are eager to put their gains to work. The competition is likely tapered, rested, and they may not go faster all year. As a sprint, the course is great for beginners. It is flat and very straight forward with most of the run on a crushed gravel path with a single turnaround point 1.55 miles out. If you live in the area, this is one where you can sleep in your own bed, race, and be home by noon. This is a well attended race - street parking is very close, but it definitely helps to be the early bird. Elkhart Lake Sprint & Olympic Triathlon - Elkhart Lake, Wisconsin - Elkhart Lake is ~1-2 hours north of Milwaukee and Madison. The water at this lake is definitely the highlight of the race. For Midwest lakes it is some of the cleanest and most crisp water you will race in outside of Lake Michigan - it makes for a refreshing post-race dip. The race itself takes place at resort in a very quaint town and close to the Road America track. They have a kids race as well so everyone can get involved and make a fantastic weekend out of it. The resort offers plenty of water activities, s'mores over the campfire at night, and a nice Northwoods bar nightlife. For the history buffs out there, this was the first triathlon that American superstar Gwen Jorgensen did in her career - will she win gold at Rio in 2016? As for the course, they offer a sprint and and more challenging Olympic with a longer bike. Both the run and bike are quite rolling, but also have some extended climbs. Personally, I consider this course the true "Wisconsin World Champs". You get a food ticket post race and can pick healthier options such as a Chicken Breast Sandwich and drink or go with a burger and a beer. Pigman Sprint Triathlon - Cedar Rapids (Palo), Iowa - Pigman takes place just north of Cedar Rapids, Iowa and just a bit further south of Cedar Falls/Waterloo. I consider this race usually to be the "Midwest World Champs". It is a very popular race, and in many years sells out very early, but they have a waitlist as well. If you like bigger fields, but still like to park steps away from transition then this is your race. There is no shortage of competition here if you are interested in being challenged, but is a great beginner course as well. The run and swim take place entirely within Pleasant Creek State Park and the bike doesn't travel far out of it. Both the bike and run are rolling but quite fast. They offer a great spread afterward and Gear West, does a nice prize raffle give-away after the awards with some very nice items. If you win your age-group you also get to race for free the next year. However, my favorite thing about this race is that every award I have received from the Pigman sprint has been functional. I sip tea or coffee out of mug I received back in 2011. 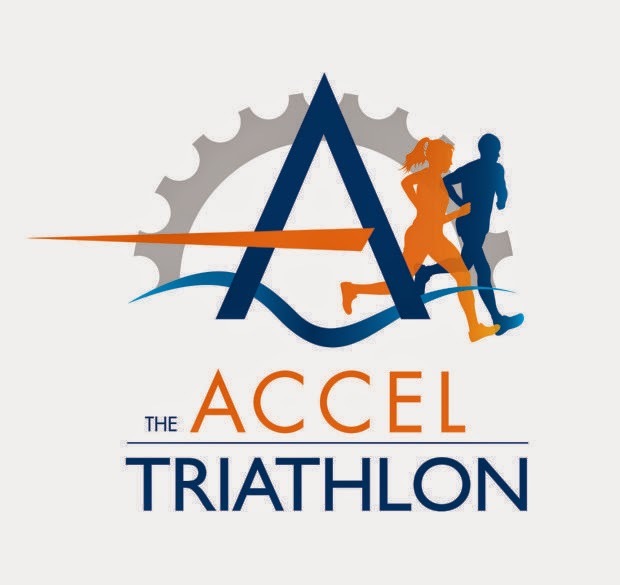 Accel Sprint & Olympic Triathlon - Waterloo / Cedar Falls, Iowa - The Accel triathlon is a new triathlon that replaced a different triathlon later on in the season and features both a sprint and Olympic distance race. The race directors are highly motivated in improving and growing this event and I love race directors that are willing to solicit feedback and grow. As an anecdote, this year I found a race director soliciting advice in triathlon forums asking what kind of shirts they should get their participants. I was excited to hear they were taking the recommendation of a heathered cotton/poly blend shirt - you know the ones that are soft, with a great vintage look with the benefits of both cotton & poly without all the negatives. As for the race, it takes place in the George Wyth State Park with the entire swim and run in the park, and you can park right next to transition. The course is very straight forward and I don't think I encountered a single car on the bike course. The race easily has one of the best race spreads ever including hot pulled-pork sandwiches, and although new, this race has a lot going for it and I look forward to seeing it only get even bigger and better. Pewaukee Multisport Weekend & Sprint Triathlon - Pewaukee, Wisconsin - This race takes place right in downtown Pewaukee just west of Milwaukee. Being on the west side of Milwaukee this is an easy drive from Madison as well. This race is another race where you can park just a few blocks from transition but yet has upwards of 1000+ racers. The course has changed quite a bit over the years, but the general terrain of the area is not flat so both the run and bike will most likely have some climbs. The bike course has a great feel as you exit out one side of downtown and come back thru the other. Friends and family line both sides of the road and give it that big race feel. It is a great beginner course and features other events besides triathlon as part of a multisport weekend. smaller city but making it feel much bigger than it is. Parking right next to transition is a plus. They have a great announcer in years past and always punch above their weight in media buzz and do a great job of making the award ceremony really highlight all the age-group award winners. They offer both a sprint and a distance that is between a sprint and Olympic that they call Intermediate. 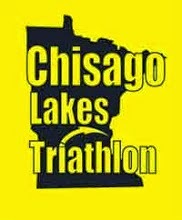 Chisago Lakes Triathlon Now Toughman Minnesota - Chisago City, Minnesota - This race is just 35 mins northeast of the Twin Cities and features both sprint and Half-Ironman distances - I have done each distance twice. Although the race has been rebranded, the race still has the same management that put on a great show. The race takes place in a highly Scandinavia community and it definitely shows throughout the event. I have always picked up my packet racing mornings and parking has been within a few blocks. The transition has dedicated numbers so there is no getting up early to fight for transition spots. Being way up north wetsuits are almost guaranteed. Given its close proximity to the twin cities, the turn out has always been fairly sizable giving it a big race feel in small-town Minnesota. However the highlight of this race is the section of the half on the bike that goes right down the border of Minnesota and Wisconsin. The views are amazing. Pigman Half & Olympic - Cedar Rapids (Palo), Iowa - Pigman half is a great race to test your fitness for those doing Ironman Wisconsin, Ironman Chattanooga, or Ironman Louisville. There is also an Olympic distance, and like the sprint, the races take place just north of Cedar Rapids, Iowa at Pleasant Creek State Park. Perks include being much cheaper than Ironman Steelhead 70.3 and Ironman Racine 70.3 and you can park steps away from transition. Since the race is away from a major city traffic on the course is minimal and the roads are in very good shape unlike Racine. There is no shortage of competition here if you are interested in being challenged, but it is a great beginner course as well. The swim take places in Pleasant Creek State Park and the bike takes you out into a gently rolling Iowa countryside. The run is rolling is well. They offer a great spread afterward and Gear West, does a nice prize raffle give-away after the awards with some very nice items. 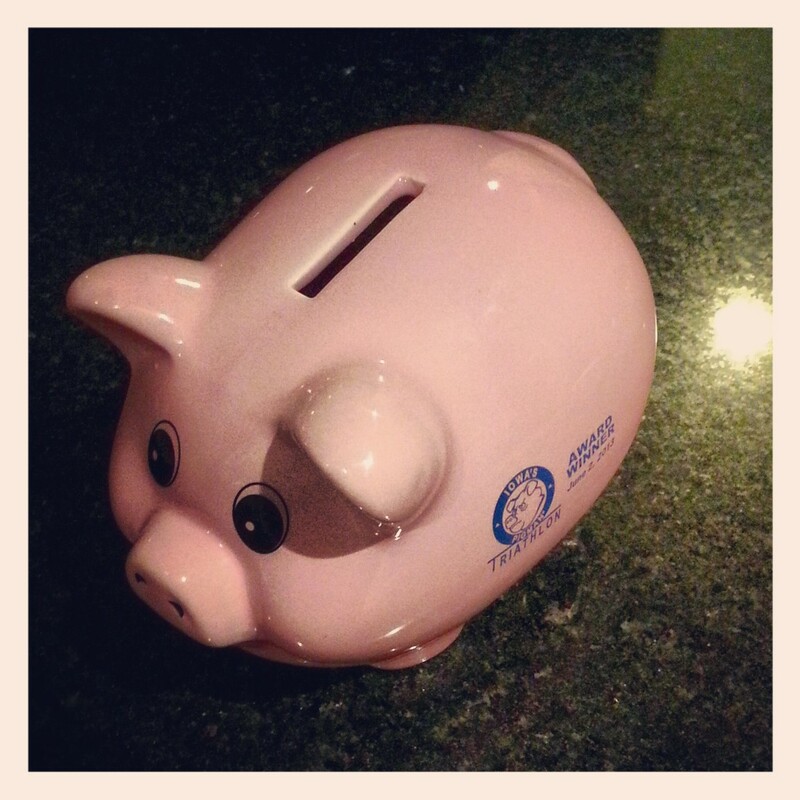 If you win your age-group you also get to race for free at the next year. However, my favorite thing about this race is that every award I have received from Pigman has been functional. I sip tea or coffee out of a mug I received back in 2011. 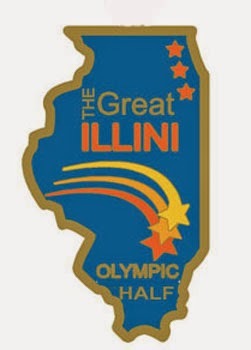 The Great Illini - Neoga, IL - The Great Illini offers both an Olympic and Half-Ironman race in truly rural Central/Southern Illinois. Located just north of Effingham and south of Mattoon, this race has good proximity to St Louis, Indianapolis, Terra Haute, along with Central Illinois. The timing of the race makes it a great opportunity to test fitness for Ironman Chattanooga and Ironman Louisville. Tony Garrett, the race director, is a very talented triathlete himself so he knows a thing or two about what is important in putting on a triathlon and he can personally be found roaming the course making sure all the athletes are being taken care of and that everything is going smoothly. The Great Illini offers race day packet pick up and you can literally park your car just a few feet from transition. This makes it super convenient for those who are just trying to get a race in without all the necessary overhead of the larger races. It also makes the possibility of driving over on a race morning a possibility or you can stay in Effingham or Mattoon the night prior. As far as the course goes, the swim takes place in Lake Mattoon before transitioning out onto the bike and the rolling terrain of the Illinois countryside. The run is rolling as well and takes you thru some good ol' Southern Illinois farmland. It is a smaller race with a lot of character, but don't let that deceive you, it still draws some good competition. The pizza after the race from the local pizzeria really hits the spots as well. series of aquathons (1000 meter swims, 5k runs) throughout the summer in both cities. The races are a great way for new triathletes to get more swim practice and the events are short enough and on weeknights that it makes for the perfect summer activity. Points are tallied over the series and awards are awarded to series winners. They even have a specific night where you can eat & drink some delectable items after coming out of the swim and before the run. The more you eat & drink, the more time that is subtracted from you overall time and it makes for a fun alternative to those 100% competitive events. These races are such a blast, I only wish I discovered this aquathon series sooner.